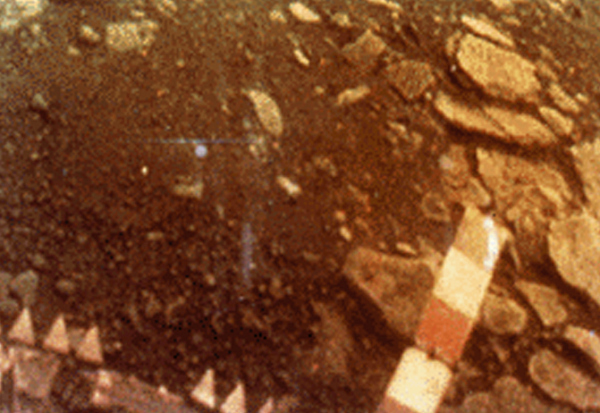 The surface of Venus is definitely no easy place to which to send a spacecraft. Crushing atmospheric pressures, powerful high-altitude winds amid caustic clouds of sulfuric acid, and temperatures that can soar above 880ºF (475ºC) make the next planet in a no-man’s-land for robotic spacecraft. But those challenges didn’t stop the Soviet space program from successfully putting several craft onto Venus’ surface in the 70s and early 80s, giving us our first views of its kiln-dried landscape.